If you’re like most families, you probably eat a lot of chicken. And why not? It’s cheap, it’s healthy, and it’s extremely versatile. Unfortunately, many people who cook chicken on a regular basis are not as familiar with that versatility point. For example, when my husband was in the Navy, living alone, he ate chicken for dinner nearly every single night. Cooked the same way. For 4 years. Yup, he would just buy a big bag of frozen chicken breasts at the store. He baked them after putting some McCormick’s seasoning on them and lived off of that for 4 whole years. If you had asked him at the time about this eating habit, he would probably have said that he absolutely loves chicken and has no problem eating the same thing over and over. He never got tired of it. Most people could not eat the same thing every night for 4 years. They’d get sick of it far sooner. Though he never tired of his baked chicken, after getting married and enjoying my cooking every night, I think he’s now realizing just how much he missed out on. Do you feel like you need more methods to “beef up” your chicken (without actual beef)? 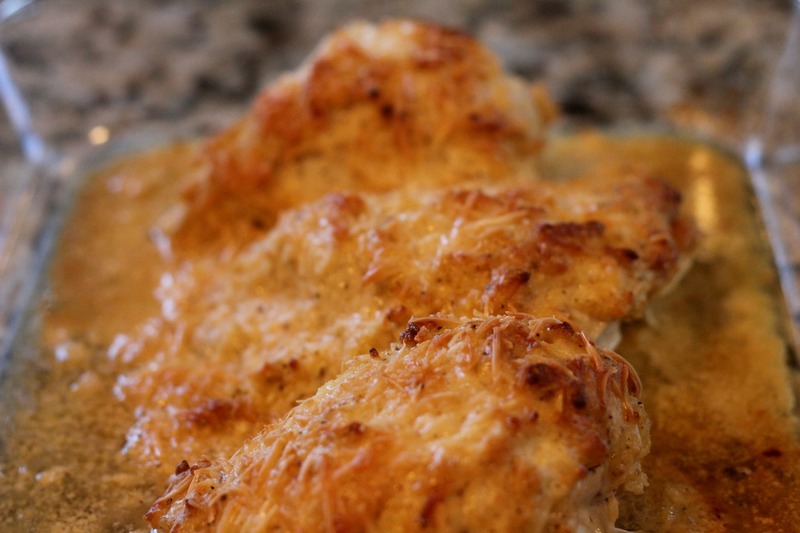 Maybe you only have 3 or 4 really good recipes for chicken that you just continually rotate. Maybe you’ve just switch to a no-red-meat-diet and are looking for new ways to prepare your chicken. Well, here’s a great recipe to try. It’s extremely simple and quick and comes out tasting so flavorful and delicious. Personally, I’ve discovered LOTS of new chicken recipes recently. 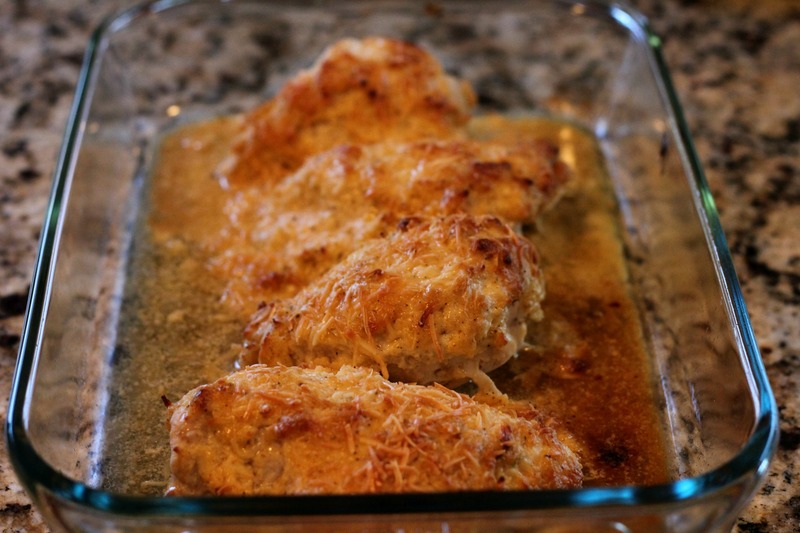 If you really want some more ideas check out my chicken recipes. Preheat oven to 375 degrees and spray the inside of a 9x13 baking dish. Place the chicken inside the prepared dish. Mix together the remaining ingredients and spread evenly over each piece of chicken, being sure to cover all the meat (so it doesn't dry out.) 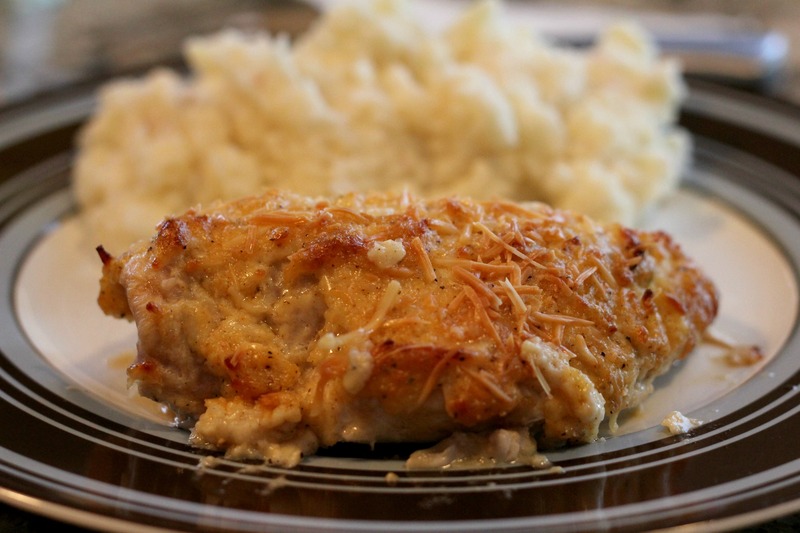 Sprinkle a bit more fresh parmesan over the chicken. I make this all the time, and it is so delicious!! I know! I just can’t get enough of it! haha I guess that’s quite a compliment! Thanks!